Business is a catch-all term for any company that trades goods and services for money. Businesses can be small, local entities that sell a limited number of goods or services, or they can be global corporations that employ thousands of people all over the world, still with the end of maximizing profit through the sale of goods and services. There are of course all variations of businesses, but they have in common structures and roles at which English majors excel. For instance, because of their strong communication, research, and organizational skills, English majors make good managers. English majors are excellent persuaders and can make a lot of money in sales, not just retail sales, but corporation to corporation sales. There are many types of jobs within businesses that English majors don’t think about, but they have excellent skills for these jobs and should consider them. 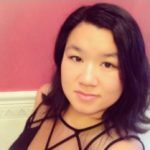 Alumnus Tracy Dong (2012) is an Assistant Processing Supervisor for a corporate communications firm, which she discusses here. I currently work at Laurel Hill Advisory Group, LLC as an Assistant Processing Supervisor. Our company deals with a broad range of work from proxy solicitation, asset recovery, Stock•IQ, corporate governance and corporate actions firms providing shareholder communications solutions. I oversee and review paperwork that is mailed into our office for various projects before it is forwarded to the transfer agents and state agencies. I have cross-trained in research for our clients and assist in proxy assignments for special and annual shareholder meetings. I also help manage the call center where we have temp workers who conduct and receive calls for some of the projects that are currently running. I’ve learned that you must always be on your feet and expect the unexpected. Sometimes we come across projects that have high importance with a high contact group and must reach the goal in a short amount of time. Although the situation can be slightly stressful, our team manages to make sure we meet the client’s goal or close to it as best to our abilities. Since I work in a small private company, it can take some time to get promoted. I learned though that in a good company, your hard work and patience will pay off and work to your benefit. This also leads into a pro for my current job, as good work is recognized and praised. Although I did not expect to end up in this industry I have learned a lot on the job, so it keeps my mind active and the job interesting with each project. There is lots of teamwork involved with the management staff. This helps me develop management and communication skills to further my career. While studying at John Jay we had to proof read and review not only our own assignments, but also our peers’ work for some assignments. Reviewing paperwork to make sure all required documents are completed, have the appropriate notary seals and are organized is a huge part of my work. Since we have correspondence with transfer agents, auditors and state offices, it is important that everything mailed out is organized in a professional manner. I supervise two temp workers who help process the mail. I review their work and give them constructive criticism to help them improve and do their job better. It was a difficult time as it was very hard to get a decent job with steady income, benefits and a healthy working environment. I was working at a retail store where the work environment became extremely toxic as management changed in the store. I went through a staffing agency, Randstad, where I started my current workplace as a temp worker in the call center. After a little over a year, I was hired and promoted to my current position as a full time employee after I proved I was a very good asset to the company and that my skills were very useful and beneficial to the team. When I was at John Jay I started out as a forensic science major, but switched to an English major in my third year. As a result I still wanted to obtain a chemistry minor, not to waste the three years of science credits I had obtained. If I knew I wanted to pursue English from the get-go I probably would have had time to get an internship or work through a staffing agency during months I was not taking classes. Looking back I wish I would have done that. I feel that it would have opened up more opportunities as well as give me stronger work experience. You learn that making connections and building up your work experience will further you in your future career. Even though my past jobs were not exactly in the same fields of work, the skills you pick up from them can be used in other industries. As long as you demonstrate your strengths and abilities to show yourself as a strong candidate, you can become successful in most lines of work.